Last week I attended the second public meeting on the budget for my small, rural school district. The previous public meeting had produced a budget to send to referendum by the slim margin of four votes, and it failed to pass at the polls by three votes. So, we were back for round two. 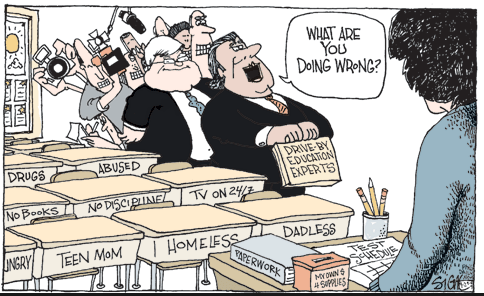 My school board had labored mightily to juggle the effects of sharp reductions in the state subsidy for K-12 education, but not so mightily that they were willing to take a hard look at what they spend on sports -- about $800,000 out of $10 million by my reckoning. The budget they sent to voters had hefty increases for the one affluent town in our district that centers on a scenic pond, and moderate increases for the rest of us. My husband figured our property tax bill will rise by about $100 if the current budget makes it. The revised budget being presented at the meeting had been reduced by a mere $25,000 due to health insurance costs a little below projections thanks to the collective bargaining power of the teachers union versus Anthem. 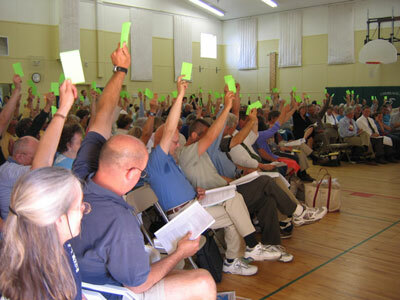 Photo credit: Town of Chebeaugue (an island in Maine with similar participatory democracy in place). Our three town selectmen -- really, all women -- were at the public meeting to try and reduce the impact of the school budget on town finances. We sat with them in a row of folding chairs as two of them are old friends of ours. One of their husbands used to be our school board chair during the years when their kids were still in school. He’s the only chair who’s ever had the cojones to propose cutting the sports budget to make ends meet for education. He was angrily shouted down as most people run for school board for one of two reasons: making sure their children’s sports team receive adequate attention, or trying to keep taxes down. The former group tends to endorse the budget while the latter group always feels it is too high. Two of the current board members actually voted no on their own budget, a protest vote meant to send a message to local taxpayers in their town: don’t blame me. Getting the little people fighting one another for crumbs from the rich people’s table has been a brilliantly successful strategy in the austerity era of 21st century USA. And there’s no relief on the horizon. 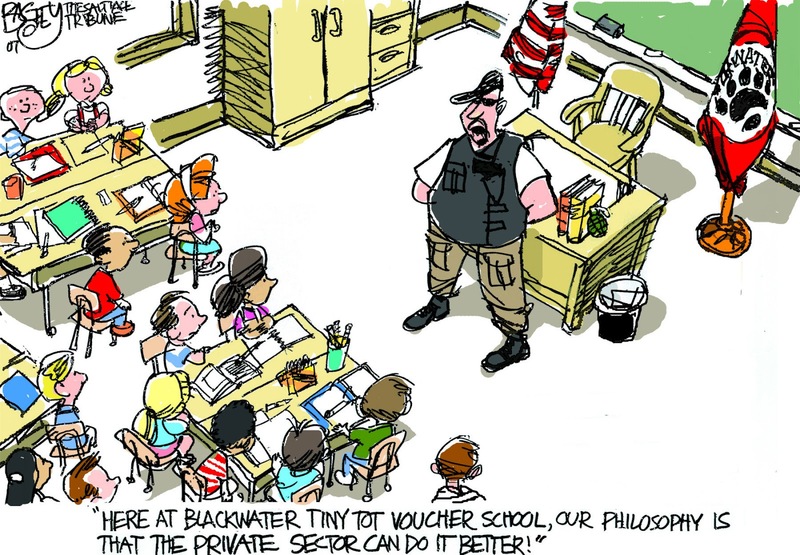 The demagogue with bad hair appointed a billionaire Amway heiress with a record of destroying public education in a couple of big states as secretary of edu, and his proposed budget slashes public funding while funneling much of what is left to vouchers and other privatization schemes. 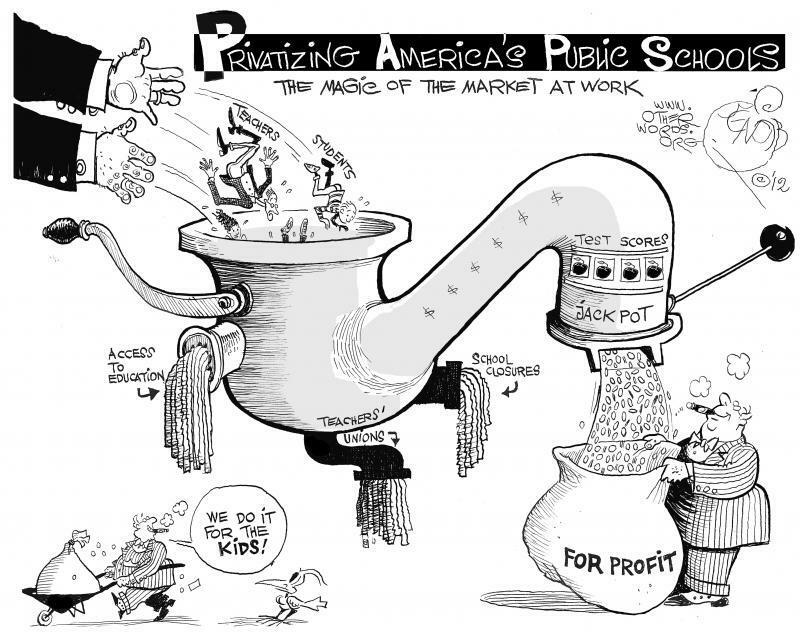 Education for profit is about as big an oxymoron as for profit health care and will be a similar large scale disaster. Of course public education in our day is often more about free public babysitting -- the one public service that capitalism consistently provides for workers -- than about actual education. Blackwater is the mercenary firm founded by Secretary of Education Betsy DeVos' brother Erik Prince. The corporation made billions off the Pentagon before changing its name. The budget that failed at the polls had already achieved savings by cutting a literacy coach position and an ed tech position. Loss of the latter means the end of a program known as study skills at our high school which has been a highly supervised study hall for at risk students, a terrible cut in a district with high poverty and special needs. As for the former cut, few people really understand what an instructional coach does: oversee professional development that helps teachers and ed techs be more effective at supporting student learning. 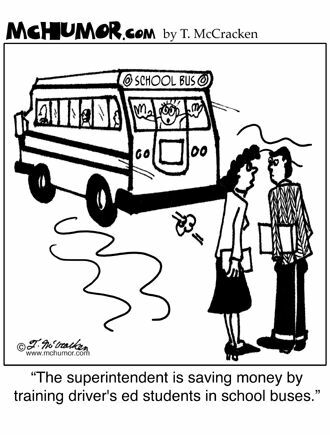 Research shows that tailored professional development for instructors has a big effect on student learning, but bussing the golf team four hours round trip is seen as a priority in my district. Educators in Finland, France, Germany or Japan would be amazed that running sports programs is part of what our schools consider their mission. Also, strong national support for public education means their teachers spend about half the day with the students and half the day on professional work like collaboration, preparing lessons and evaluating student work. In the U.S., teachers are expected to do that on their own time. There have been no jobs and continue to be no jobs in our area as one mill after another closes down. And the lack of public transportation means those too poor to keep a car on the road cannot get to other towns where there are jobs. After voting to pass various parts of the budget by raising the yellow cards that are distributed to registered voters in attendance, we sent the budget to a public meeting secret ballot. Clerks for each town were on hand to gather our slips of blue paper marked yes or no into wooden ballot boxes, and we waited while they counted them. My town’s voters were mostly for sending the budget on to referendum, but there were exactly three votes against. Once your numbers get small enough, there really aren’t many secrets. 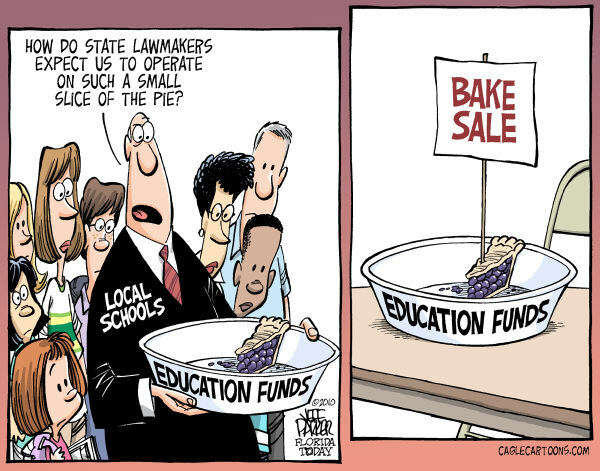 Maine’s legislature voted decades ago to fund public education at the 55% level; they have yet to reach even 50%. A state referendum last fall passed Question 2 which imposed a surtax on the top 3% income bracket and dedicated the funds to shoring up public education. According to the state teacher’s union, more people voted yes on Question 2 than voted for any candidate for president. But the legislature has thus far refused to implement the will of the voters, and if they do the governor has promised to veto the bill. Will grandma still be able to eat next year while staying in her home? Will reductions in Social Security and Medicare force her to default on her property taxes in order to afford heating the family homestead? These are the tragedies unfolding in my neck of the woods. Stay tuned.